160 years ago this year Charles Darwin published his ground-breaking, paradigm shattering volume ‘on the origin of species by means of natural selection’. 210 years ago today on February 12th, 1809 the great man himself was born. Nobody could have guessed as they gazed upon the tiny infant Charles that his eventual legacy would be so far reaching. In many ways it was Darwin’s ground-breaking work on natural selection and the origin of species that dragged humanity, kicking and screaming, toward a rational view of ourselves and our place in the universe that would have been impossible without him – or at least without his theory. It’s important that we don’t forget natural selection’s co-discoverer, Alfred Russell-Wallace who came up with the exact same mechanism for evolution independently of Darwin. In that sense it’s important to understand that the theory is more important than the man. I could write at length here about Darwin’s contribution to science and to our understanding not only of the natural world around us but also of our own species. I could write about the subsequent work of countless dedicated scientists whose efforts have built upon Darwin’s great theory to enhance our knowledge of human origins as well as our present characteristics and nature. In fact that’s the basis of my video series on evolutionary psychology – hard-wired. So on this anniversary of Darwin’s birth I’ll forego that and simply take the opportunity to dispel a myth. 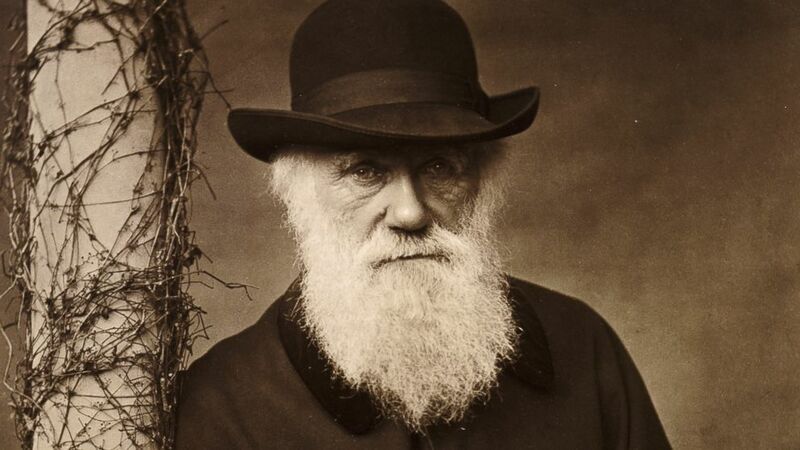 It has long been suggested that the great Mr. Darwin renounced his life’s work shortly before his death, converted to Christianity and adopted a creationist view of the world. The reality is rather different. Of course, it’s not too surprising that someone would come up with such a misrepresentation after Darwin’s death. His arguments were far too well constructed to combat in life. Schoolyard ridicule and pious deceit may well have been all that was left for the established creationists of the day, just as they are still all that is left for creationists in the 21st century. On this Darwin Day let’s all spare a thought for the man who taught us so much and yet who was treated so badly during his lifetime. And let’s stop lying about the last words of a dying man whose final thoughts were of compassion for his wife and children, not a marketing opportunity for intellectually impoverished creationists. Previous Is anxiety a choice?